The head coach has agreed a termination of his contract leaving Hibs seeking a new boss. Hibernian have announced that Neil Lennon has left the club after agreeing a termination of his contract at Easter Road. 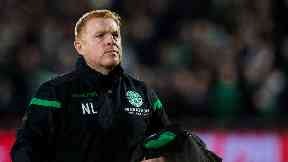 Lennon was suspended by the club chief executive Leeann Dempster on Friday following an incident on the training ground. The Northern Irishman and assistant Garry Parker have now departed Easter Road. Hibs said in a statement neither of the pair had been dismissed or resigned and confirmed that neither Lennon or Parker "has been guilty of any misconduct or wrongdoing". The club's statement read: "The management team of Neil Lennon and Garry Parker has left the club by mutual consent. The suspension, put in place to allow an internal review, was lifted by the club as part of this agreement. "Despite widespread speculation, the club confirms that neither Neil nor Garry has been guilty of any misconduct or wrongdoing and no disciplinary process has been commenced. "However, Neil, Garry and the club now consider that it would be in the best interests of all parties to part amicably." Academy chief Eddie May and assistant coach Grant Murray took charge of Sunday's 3-1 win at St Mirren, with Lennon's right hand man Garry Parker also absent. Negotiations took place to agree the terms of Lennon's exit from the club and after settlement was reached, his two-and-a-half year reign was brought to an end. Lennon had given no indication of serious problems when he gave his pre-match media conference on Friday. The head coach detailed his need for new signings following injury to Ryan Porteous but said that he was hopeful of bringing new signing in over the weekend. Lennon guided Hibs to the Championship title in 2017 and watched his side finish fourth after a season of impressive football in the top flight last year. The Northern Irishman admitted last season that he was willing to walk away from the job if his ambitions weren't matched. Lennon had been upset with his side's lack of a cutting edge following a winless run of five league matches including a 1-0 defeat by Motherwell on Wednesday, which proved to be his last game in charge. Sunday's win in Paisley took Hibs up to seventh in the table.